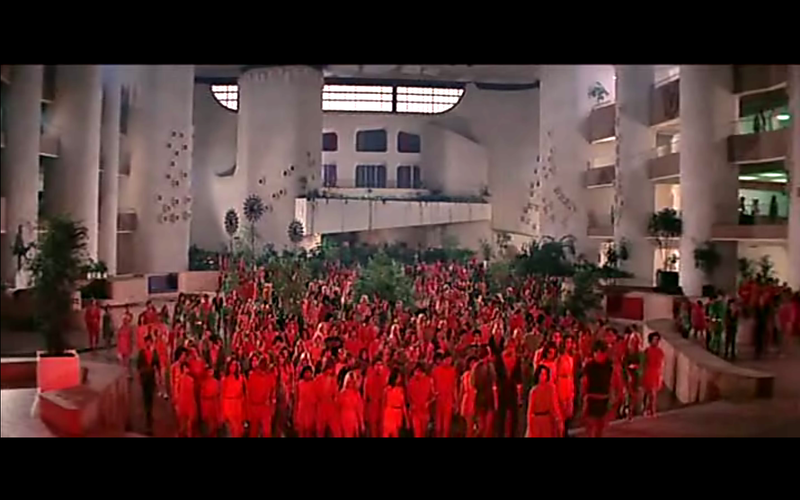 A source of much inspiration for Plaza is the film Logan’s Run (1976). 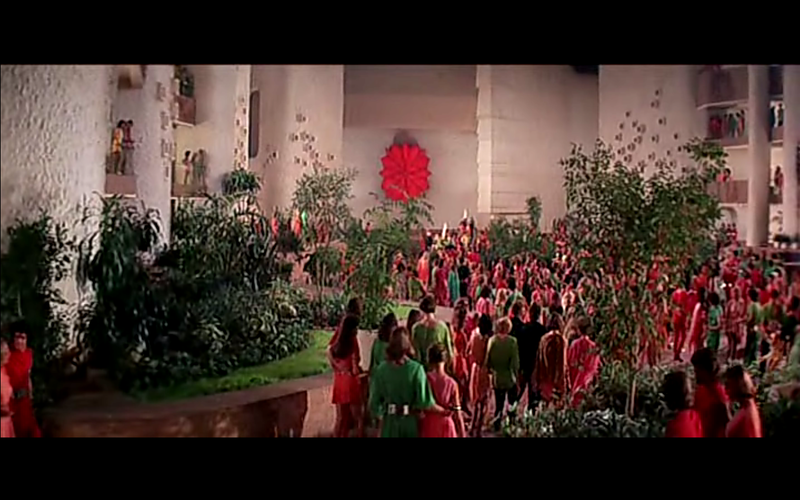 Many of the scenes of ‘The City’ were filmed in the Dallas Market Center. 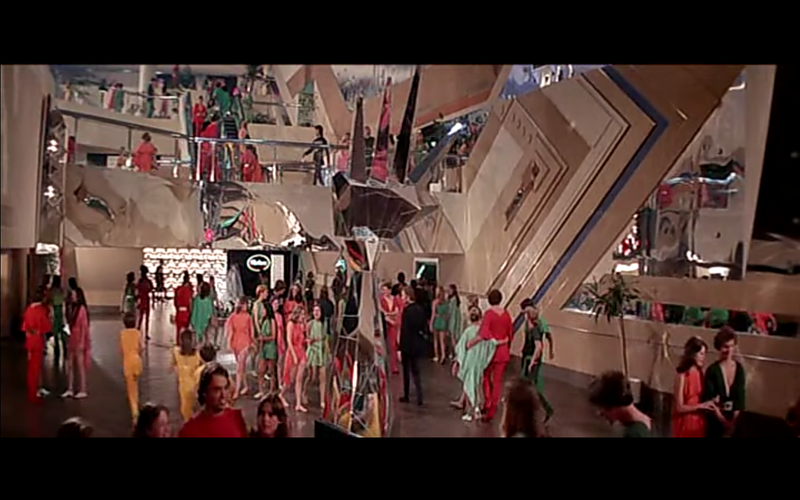 Dallas Market Centre had exactly the right ambiance of glossy utopia that was perfect for the film. A cheap 70s Corbusier dream. 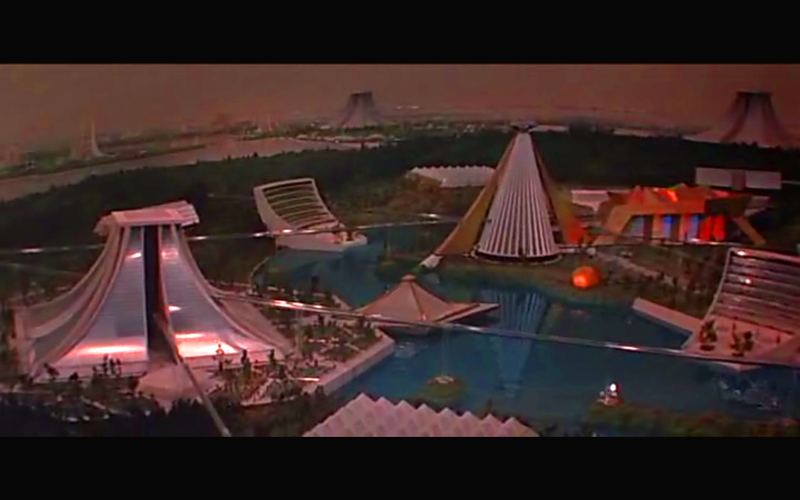 It’s interesting that this sealed paradise of constant equalibrium was actually a physical reality in the 1970’s – yet the setting for a ‘futuristic’ science fiction film. Oddly The Dallas Market centre is part of the vast trade complex JFK was headed for when he was assassinated. The mall was demolished in 2006. 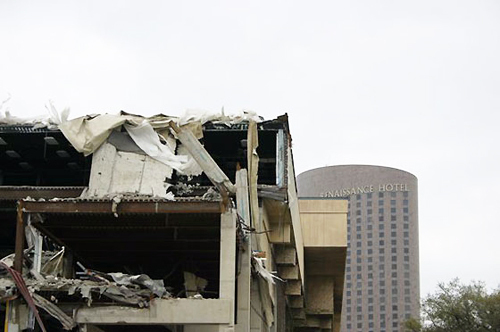 The demolition of the mall seems so appropriate considering the film’s ending. 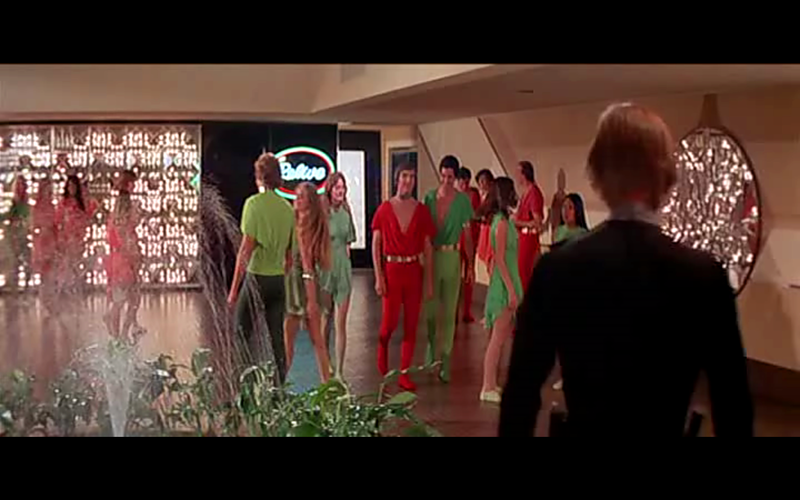 I had no idea that The Dallas Shopping Mall was used as the filming location for “Logan’s Run”. Very good info! Thank you! Be taken on a journey of luxury and glamour: read the full text from PLAZA’s ‘The Great Bath Mall’ here!